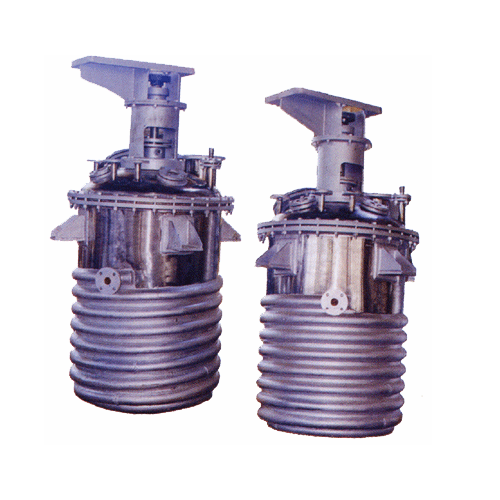 Serving the varied requirements of engineering sector, we take immense pride to introduce ourselves as one of the trustworthy manufacturers and suppliers of Limpet Coil Reaction Vessels. Our vessels are highly cherished for sturdiness, precision engineering, dimensional accuracy and high functional efficiency. Our vessels are extensively acclaimed for robustness, easy installation, user-friendly applications and high functionality. These can be availed at market leading rates. Established in the year 2011, We Excel Plants & Equipment Private Limited are accredited by ISO 9001:2008 certification, we are a foremost manufacturer, supplier and exporter of Centrifuge Machines. Under this range, we offer Starts Peeler Centrifuge Machines, Peeler Type Centrifuge Machines and Halar Coating Centrifuge Machines, Horizontal Peeler Centrifuge Machines, Manual Top Discharge Centrifuge Machines, Bottom Discharge Centrifuge Machines and Bag Lifting Top Discharge Centrifuge Machines. Along with this, products that are available with us are Top Driven Bottom Discharge Centrifuge Machines, Peeler Type Centrifuge Machines, Starts Peeler Centrifuge Machines, Halar Coating Centrifuge Machines and Pusher Centrifuge Machines. For the convenience of patrons, we provide these centrifuge machines in various sizes, designs and specifications. For the manufacturing of these centrifuge machines, we are assisted by a panel of experts, who always keep themselves updated of the market trends and make the range accordingly. These professionals base these machines on latest technology so as to ensure their efficient working. Further, our professionals keep in mind the globally laid standards and norms while manufacturing the machines to ensure their peerless standards.